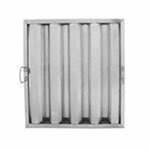 Keep your kitchen well ventilated with one of QREM Restaurant Supply’s commercial hoods! We carry commercial hoods for ranges as well as fryers so no matter the use QREM has the model for your business! 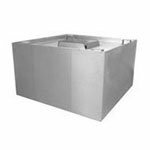 Also available are our trusted brands of commercial hood accessories that are sure to make the commercial hoods you already have more efficient and effective. For quality commercial hood accessories at prices just right for your budget shop QREM and save!